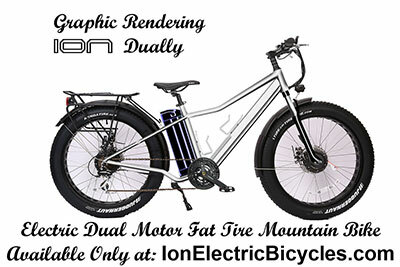 The Dually, Dual Motor - Electric Fat Tire Mountain Bike, has been completely redesigned to be more everything. 2X 500watt Motors - ONE THOUSAND WATTS TOTAL!! 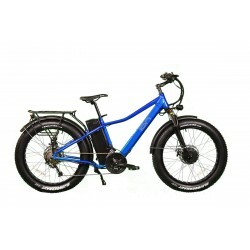 203mm Heavy Duty E-Bike Disc Brakes. Rear Wheel Drive or ALL Wheel Drive. 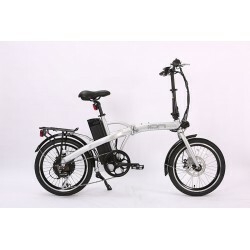 Max Range without pedaling @ 12.5 mph = Approximately 140 Miles Using Rear Motor Only IN ECO Mode. 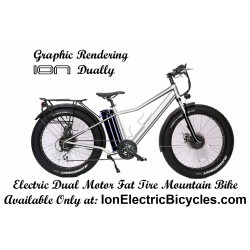 This is my second ION bike, loved the first one, this is even better. I believe it's the best in its class. I am an avid hunter and fisherman so I bought a Dually. Had it for a little over a week now, this bike gets the job done! Took the bike on a camping trip with close to 50lbs of gear on the rack. The bike in all wheel drive got me onto trails that I could only get to in the past on foot. Spent 2 days at the lake fishing and back with no problems. 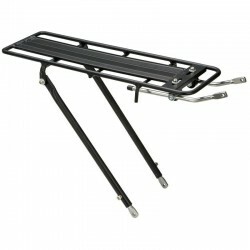 I will definitely be more adventurous with the Dually.. It was a lot more enjoyable not having to walk and carry a backpack. Thanks ION for making such a great bike..
Again WOW what a bike! Just got this bike yesterday and already have 40 miles on it. 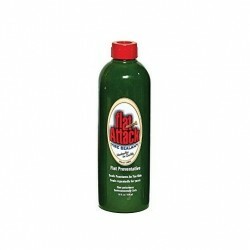 Saw this company at a local event, they gave me lots of information on their line. I was actually there for over an hour bending their ear. I set up an appointment for a test ride and man was that an excitement. Have not seen a bike like this anywhere! 27 speeds Total Control Traction. 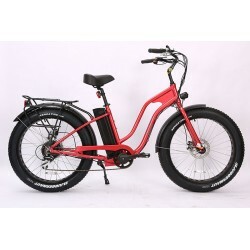 I have been looking at ebikes in the different stores here in OC but saw the same old bikes everywhere. This bike is way ahead of everything I have looked at even at twice the price. 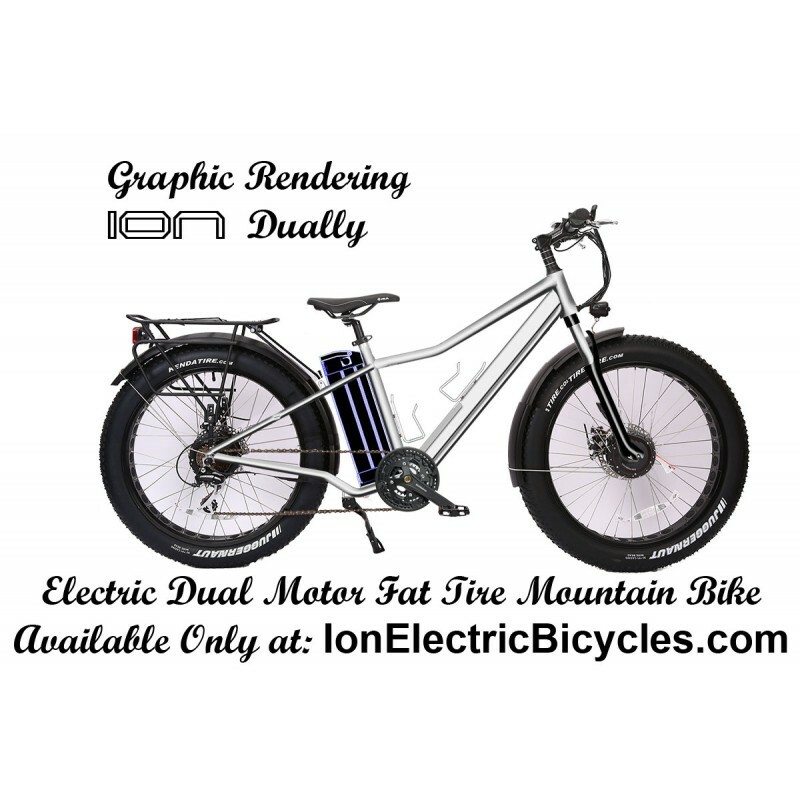 This company's total commitment to the latest ebike innovations, this bike has everything! Well going out for a ride, catch me on the bike trails.